$215 Nightly. Pets! Easy walk to beach!! Pet Friendly with screened porch and outdoor seating areas. Easy 3 block walk to beach. Vintage cottage charm. 3 bedrooms. WIFI. 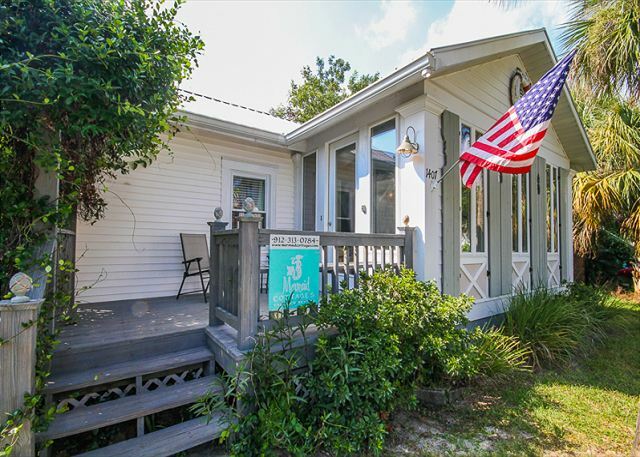 Pet Friendly classic & Historic Tybee Raised Cottage with wraparound porch, large fenced in yard with fire pit. 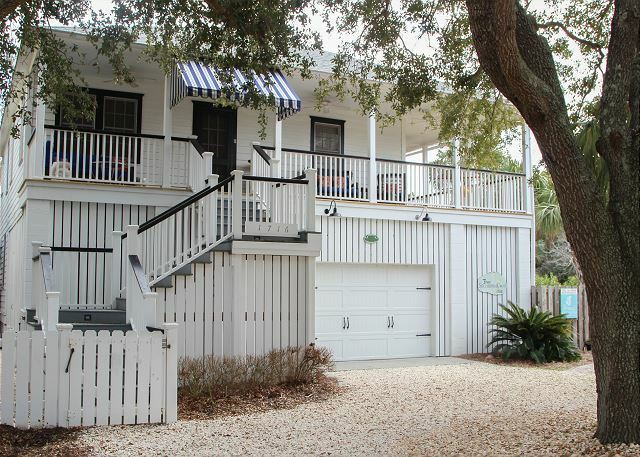 Just two blocks from the beach and ideal for a family or Big Chill Friends weekend! $205 Nightly. Cute! Quick walk to beach! Beautiful condo! 3 bedrooms, 2.5 bathrooms! 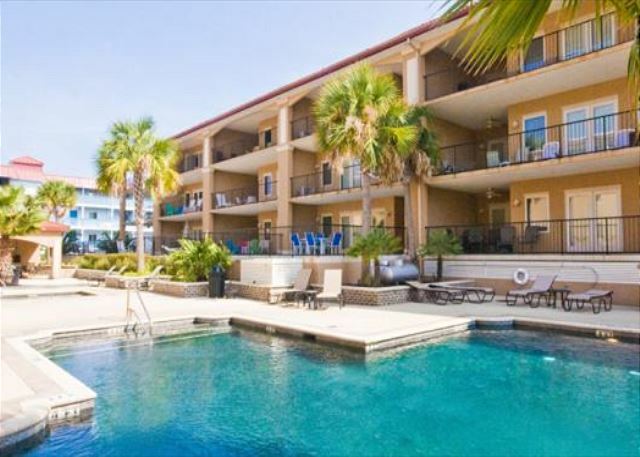 Great location within walking distance to beach and all that Tybee's south end and Pier and Pavilion have to offer! $195 Nightly. Classic cottage! Pets! 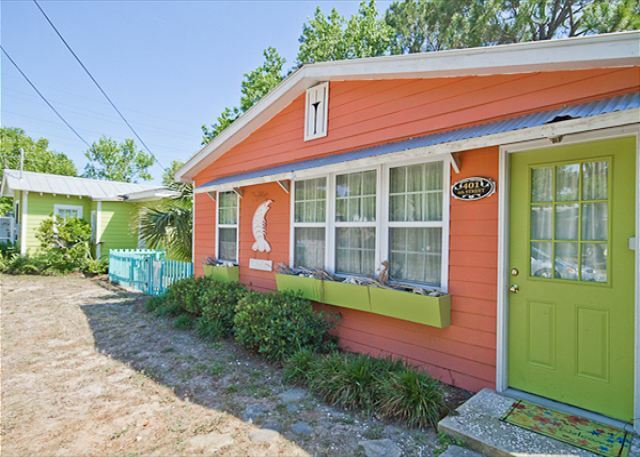 This 1940's vintage cottage is located on a quiet street only 5 blocks to the beach. Full of original art by the owner and located close to the Back River Beach, fishing pier and Alley 3 Kayak area. $295 Nightly. Pets! Amazing view!! 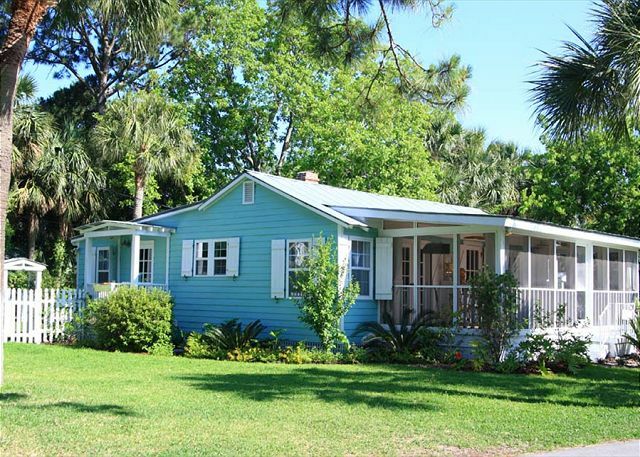 This 1930's pet-friendly cottage has a large fenced yard and screened front porch. The marsh views are perfect for the marvelous nightly Tybee sunsets. $310 Nightly. POOL! Pets Welcome. Porch! This charming vintage cottage boast 3 bedrooms and 3 full bathrooms is perfect for family vacations or girlfriend getaways. PRIVATE POOL! Fully fenced-in back yard; great for pets! $350 Nightly. We love Kayakers!Porches! $650 Nightly. POOL! Pets! Friends! Beautiful vintage southern beach home boasts a magical southern yard, heated pool, 6 bedrooms, 5 bathrooms and is PET FRIENDLY! NOTE: this home requires a 3 night stay or longer. $295 Nightly. Easy walk to beach! A perfect beach getaway! Beautiful beach condo! Reservations include your VIP reservations for The Lady & Sons restaurant, a personally autographed Paula Deen cookbook and Paula goodies!